There are all kinds of walls – some impenetrable and some, like those above, little more than fabric. 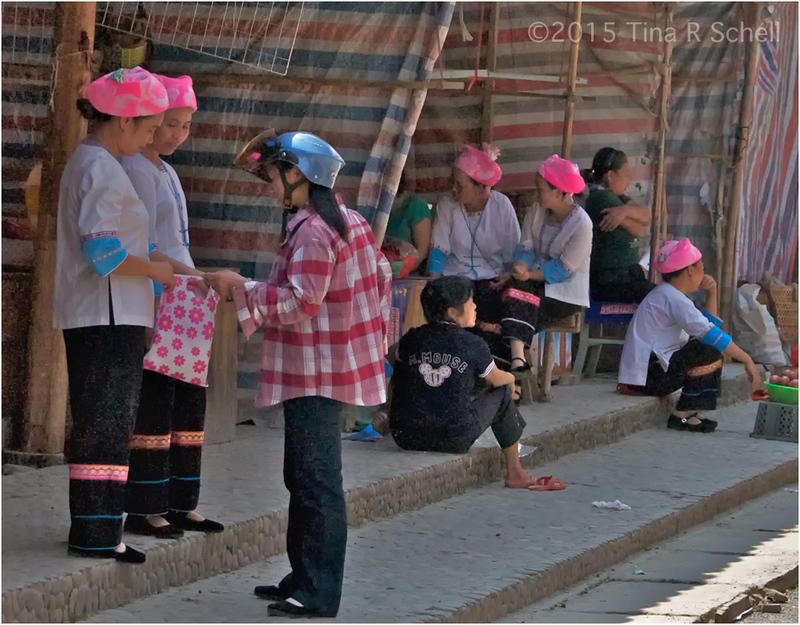 As I watched the women in the photo talking animatedly as they went about their daily chores, I assumed the walls were separating their goods but not their spirits, as they all seemed of one mind with a singular purpose – drawing both local and tourist trade to their wares. Also focused on selling his wares, the image above shows a man sitting in a literal hole in the wall, watching as the world walks by. Here in the states, a “hole in the wall” is a slang term meaning a rather small, dingy place. His place may indeed have been small and somewhat dingy, but that didn’t stop him from enjoying his tobacco along with the beautiful sunny morning. Photographers love decay and this wall certainly is that, but it has the added bonus of a doting dad and his darling daughter 😊. I loved the soft colorful element she added to the scene. I also thought the bright shaft of sunlight in the otherwise shadowed wall added still another interesting dimension. Speaking of decay, I couldn’t resist including the photo above, which I’ve used in a previous post. 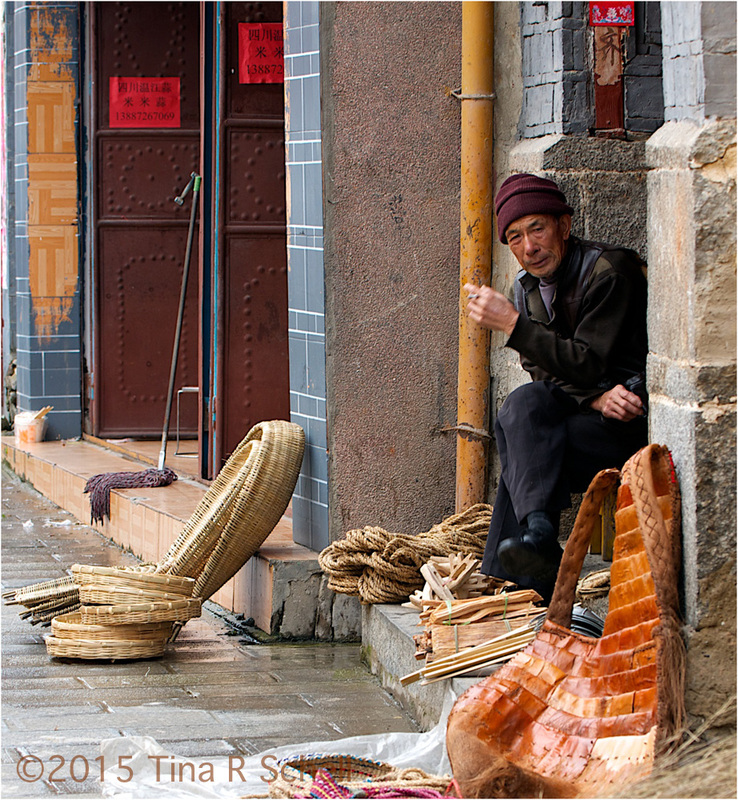 It’s one of my favorite shots from our China adventure and brings to mind a very vivid memory of our journey. It’s a long story, but suffice it to say this scene reminds me that one cannot judge a book by its cover, and that the joy of discovery offsets any trials faced during the journey. 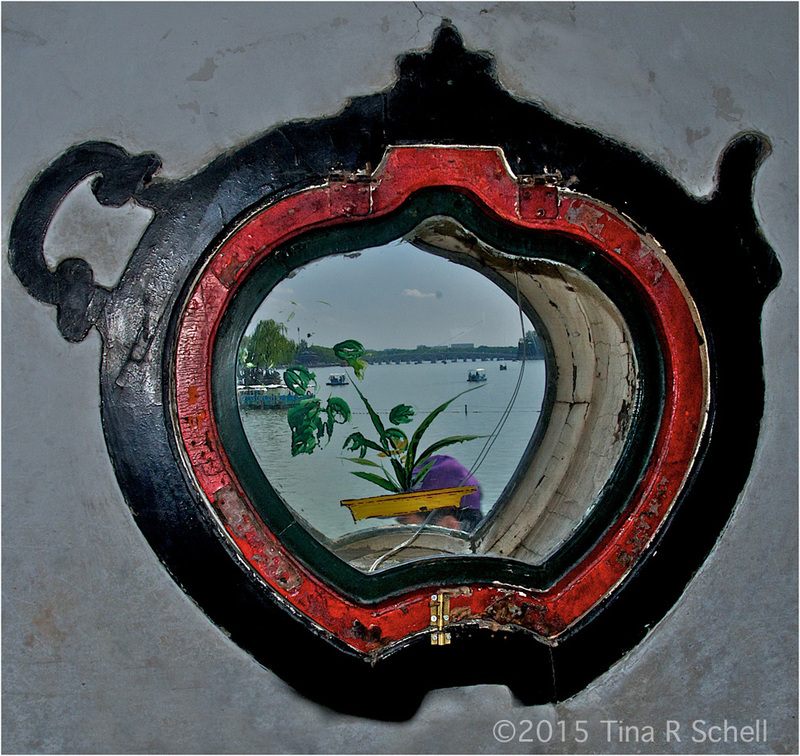 In Beijing’s beautiful Summer Palace, former “vacation home” to its emperors, there are walls with windows shaped like teapots overlooking lovely lakeside vistas. Imagine the scene during a summer tropical storm and perhaps we’ve come upon the origination of the phrase “tempest in a teapot”! 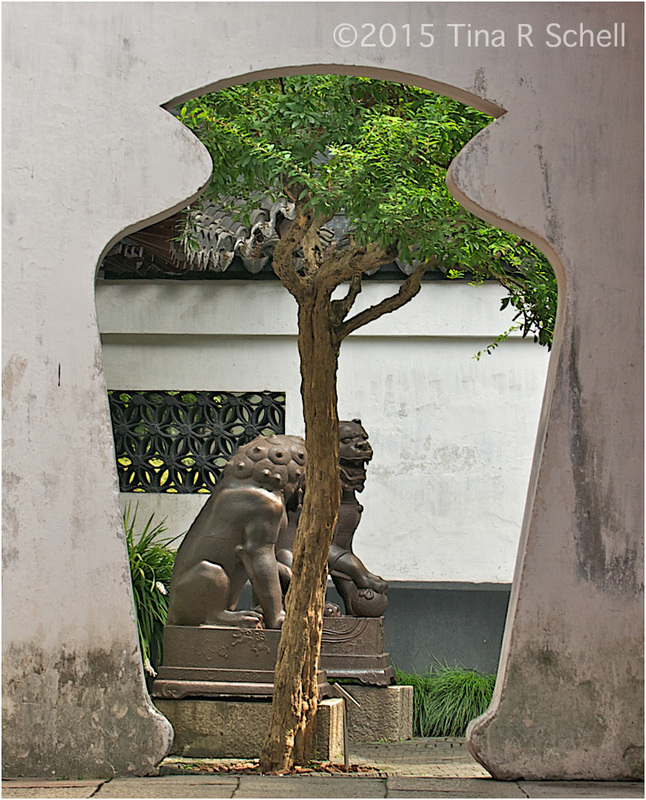 Competing with such a unique and creative idea, the wall below with its flowerpot-shaped entry in Shanghai’s Yuyuan Garden offers another interesting opportunity for wall-watchers. 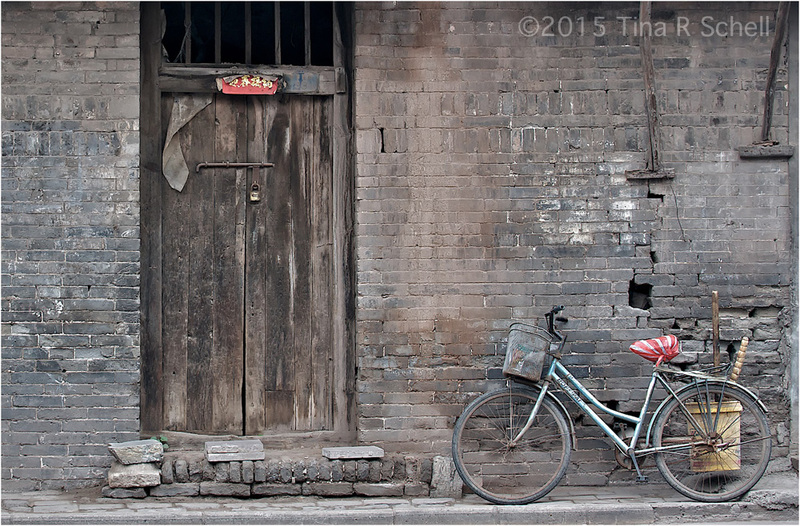 Lest we start to think that all of China’s walls are crumbling down, I’ve included a capture from modern-day Beijing. 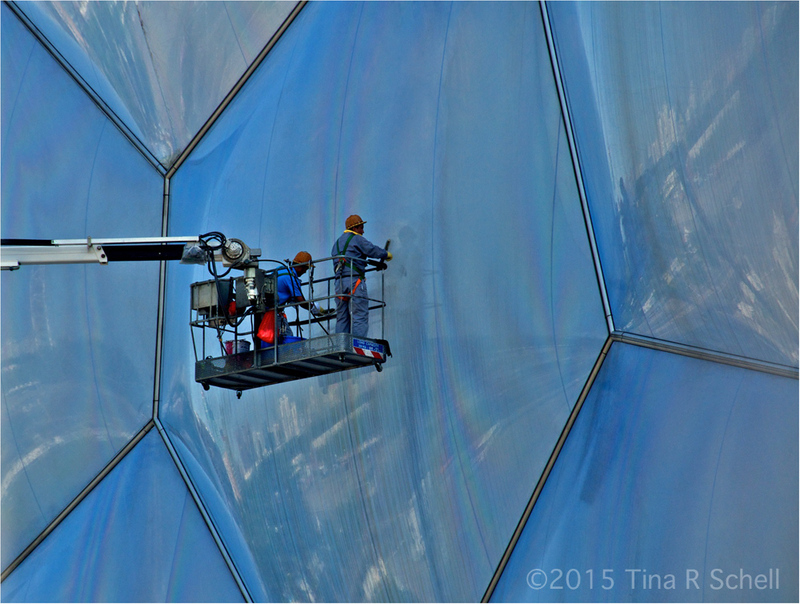 Below, we see two wall-washers cleaning the huge dome-like aquatics stadium from the 2008 Olympics. Look closely and you can see vistas of the city reflected in the face of the building. The Olympic Park is a very interesting stop, especially when it follows a visit to the hutongs, China’s oldest neighborhoods – the contrast is astounding. Walls in Beijing, not unlike the big cities in the U.S., provide a perfect opportunity for advertising. 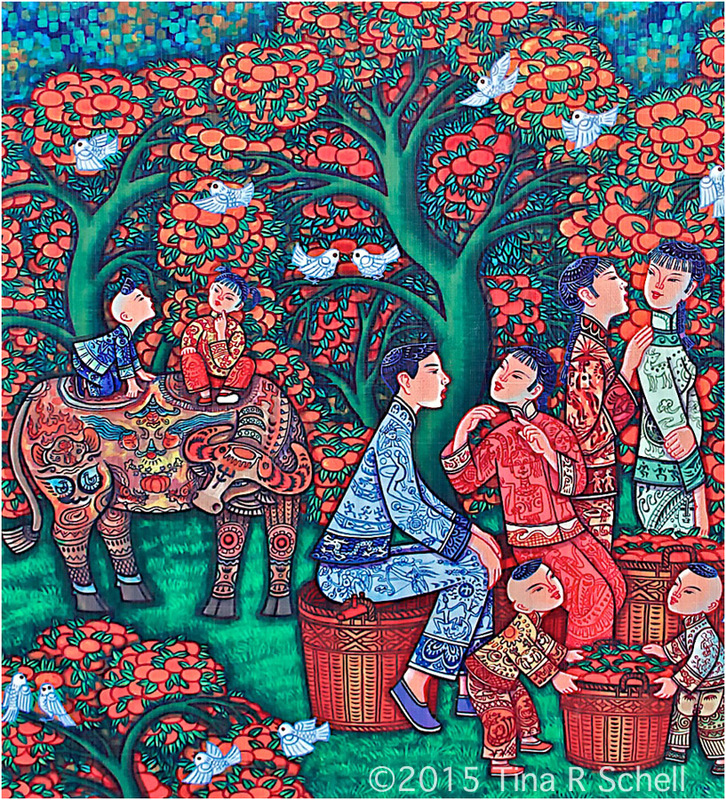 The Chinese go beyond simple slogans and create beautiful works of art – such as the one below – to promote their products. I believe the subject of this colorful scene was some kind of milk. 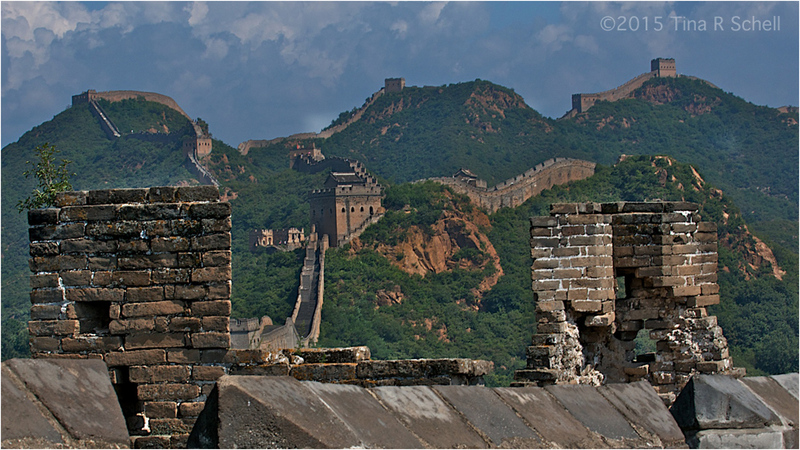 Finally, in my mind the best example of a wall ever created, the magnificent Great Wall of China. 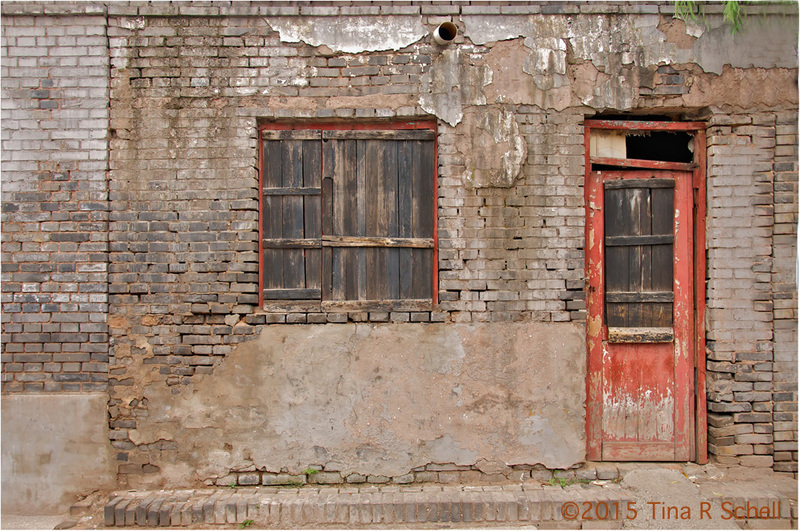 For more information, and many more photos, please visit my previous Great Wall post here. Poets and songwriters have written of walls in thousands of compositions through the years. Each of today’s quotes is from a song about walls, symbolizing for the most part the barriers we humans build to protect ourselves from the hurt and pain found in everyday life. Thanks to Cheri for the interesting challenge. To see some other bloggers’ interpretations click here. I just returned from an extended trip in China, all work, no photography 😦 and this post of yours makes me miss it (when a few days ago I was screaming to get back to Hong Kong!). Such a great mix of emotions with each of these photos. The “Man In The Wall” shot I like especially because it ties in with the quote ~ “If these walls could sing they’d sing us a hundred songs.” This man may be able to sing a thousand… And have to agree about the Great Wall. It is this cliche about China, but when you see it and walk on it, it still manages to blow-away already high expectations. Cheers to a great weekend! Tina, it seems like it’s been so long since I’ve checked in to many of my favorite blogs! What a great to visit yours today. As always I love your work. The first and last images really brought out a happy sigh. Glad to hear it Laurie, thanks for stopping by, and welcome home! Hi Tina, I so much love the 1st, 3rd and 5th image. The storytelling behind them is amazing as are the textures! Fantastic work. Thanks so much Mark, I greatly value your opinion which makes your compliment that much more appreciated. Thanks Tina, that is very kind of you to say. What a FANTASTIC entry…..BRILLIANT shots…the final one being very powerful….just love this one!!! This is a most excellent and incredibly diverse series of great images from China! Wonderful Tina .You really do have a talent with photographing people and cultures so well . What a lovely compliment Poppy, thanks very much! A fascinating series of images Tina. Every single one seems to have a story to tell. The red door is indeed intriguing. Love the teapot window, I’ve never seen anything quite like it. I also like the red door. Your post reminds me of a photographer I heard on the radio the other day talking about taking pictures in Eastern Europe & how different it felt due to lack of garish, bright western advertising in the streets. I’m sure there’s plenty of bright colours in China, but this selection all seems to be in somewhat muted tones, which is a bit different and interesting. Thanks Maamej. Yes the bright neon is everywhere in China’s modern areas of Beijing and Shanghai but I am drawn to softer tones, which are more prevalent in the older neighborhood–which sadly are fast disappearing. As you point out, photographers love decay (and old stuff) , by the people who live there don’t love it so much. Beautiful interweave of song lyrics and photos to frame the contrasts and messages you discovered in the many great walls in China. Thanks Jane, I had fun putting it together this week! I agree whole-heartedly Uday, those are the things we most remember. Suffice it to say it was an incredibly fabulous end to a very long and awful day of bad travel. There are many more elements to the story but the unexpected warmth and comfort that greeted us on our arrival was well beyond anything we ever expected. The red door hid one of the most welcoming, wonderful environments, including people, that we encountered in all of China. Stunning images as always, Tina. Hard to pick a favourite, but the first image is definitely a winner on closer inspection. Thanks Vicki-appreciate your visit and comment. Always beautiful – the photos, the quotations, your words! As usual Tina you have outdone yourself. I love the art depicting the advertisement and the Dad and his child. Thank you Nora–dad and child seems the runaway choice this week. One of those photos that really grew on me, so glad you enjoyed. I love that you chose to show some of China’s other walls. Thanks PJB, glad they appealed to you. Many thanks Ghiana, so many walls, so little space 😊😊. Appreciate your visit and comment. Very nice photos and writing, Tina. 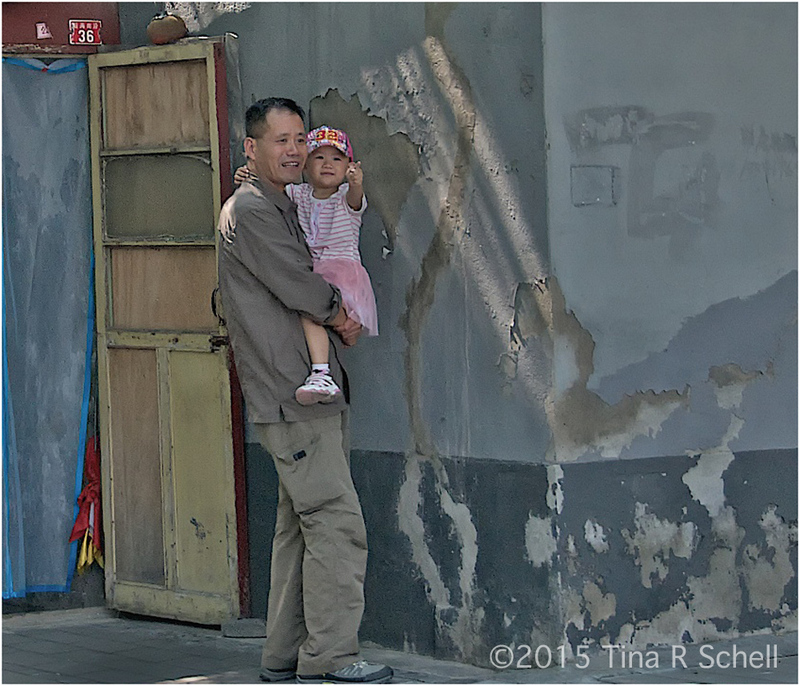 Love the decaying wall with the orange and the father-daughter. That one is so sweet along with the subtle shading and light beams. Nice idea with the songs,too! Thank you Alexandria, much appreciated! I loved seeing all of them – the textures, the colors, the people and things in front of them. It was a great selection to show us your travels. Many thanks Nancy! China offers more opportunity for photography than I could have dreamed. We were there over a month and I hated to leave. Now that’s saying something!